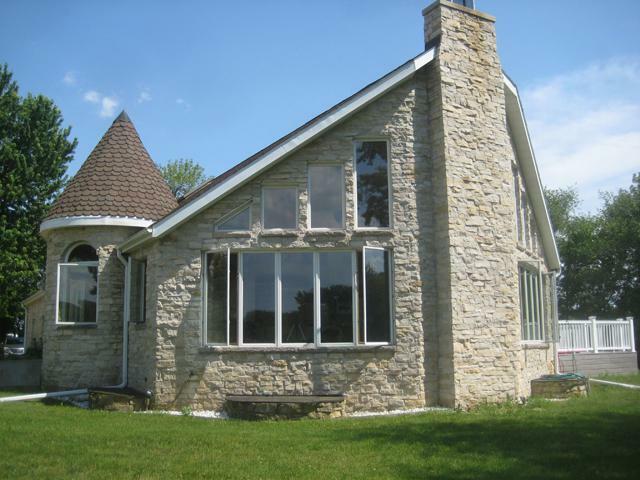 Beautiful all natural stone custom home built on 8 private wooded acres with Big Bureau Creek winding through the property. 3 Bedrooms, 3 baths with partially finished basement. 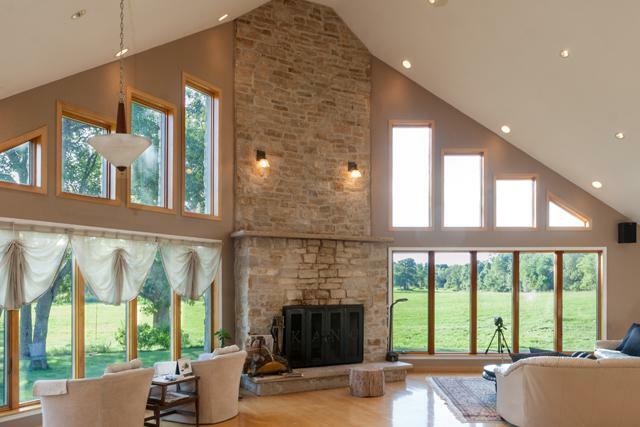 Soaring ceiling in the magnificent 2-story great room with a floor to ceiling oversized stone fireplace. 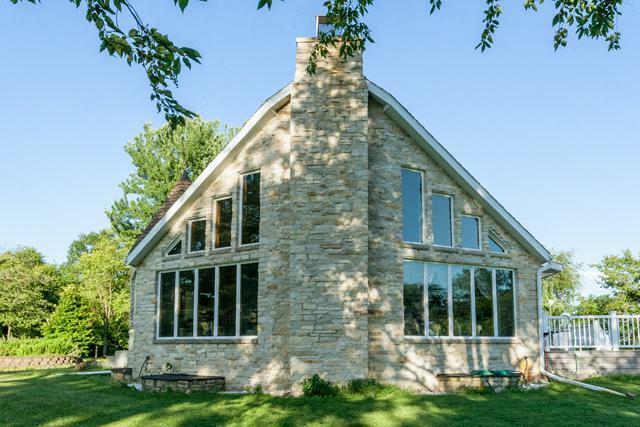 Maple flooring throughout and a wall of floor to ceiling windows to enjoy the serene view and wildlife. Large second floor loft features a custom staircase and railing. Open kitchen features newer slate appliances, granite counters, large center island, cherry cabinets and a walk-in pantry. Basement is partially finished with a family room with heated floors, bonus room, small kitchen and laundry. Other features include a 15X16 low maintenance deck, Anderson windows, recessed lighting, conduit wiring, skylights and more. The 30x52 outbuilding features an oversized overhead door plus a workshop and extra storage. So much to enjoy on the property including fishing, canoeing, walking paths, and horses.